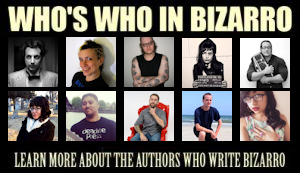 Wonderland Book Award Preliminary Voting Begins Now! 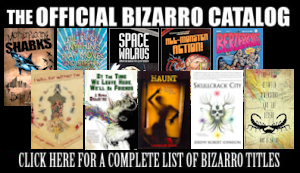 Voting for the Wonderland Book Award preliminary ballot begins now for the Best Bizarro Novel and Best Bizarro Collection of 2013. 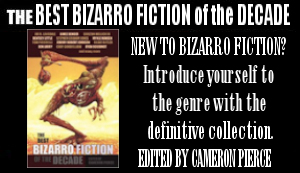 Please send your 1st, 2nd, and 3rd place votes in the Novel and Collection categories to bizarrocon@yahoo.com with the subject line “Wonderland Book Award Preliminary Ballot.” Preliminary voting ends July 31st. This entry was posted on May 19, 2014 by cameronpierc. It was filed under Uncategorized .